How much can you save on a short sale in Sebastian, FL? The short sale process in Sebastian, FL, for a buyer can be very profitable if the situation includes a motivated seller and a cooperative lender. Find the best short sale homes and bank-approved listings available in Sebastian, FL, at Foreclosure.com today for as much as 75% off market value. 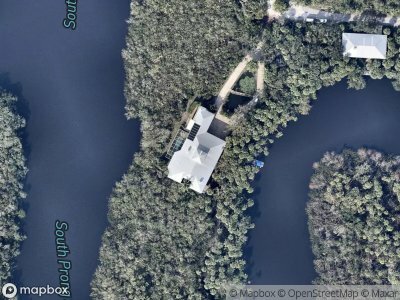 There are currently 1 short sale homes in Sebastian, FL, available for potential sale right now. Get the most current list of short sale listings in Sebastian, FL — and the information and tools to buy them fast — at Foreclosure.com. Sebastian is a city in Indian River County, Florida, United States. In 2010, the population recorded by the U.S. Census Bureau was 21,929. Sebastian is a principal city of the Sebastian−Vero Beach Metropolitan Statistical Area, which includes all of Indian River County. In 1715, several Spanish ships loaded with treasure (known as the 1715 Treasure Fleet) encountered a storm off the shores of the Treasure Coast and were lost. It is estimated that only a portion of the sunken treasure has been found. The value placed on the treasure lost from the 1715 fleet has been estimated at over $500 million USD. The town of Sebastian was a fishing village as early as the 1870s. In the early 1880s David Peter Gibson, and Thomas New settled in the area. New filed to start a post office under the name New Haven. However, New got into legal trouble for misuse of his position as postmaster and was removed. Sebastian was officially founded in 1882 and named St. Sebastian, after Saint Sebastian. There are currently 1 red-hot tax lien listings in Sebastian, FL.